“I don’t want a pickle,” says Arlo Guthrie, “I just want to ride on my motorsickle.” In my younger days I got myself a motorcycle, and as with so many of our beginner vehicles it didn’t run when first acquired, so I waited with great impatience until a friend would fix it. As it turned out, it did get me into something of a pickle. I got hit by a drunk driver and my back broke. “And I don’t want to die,” yodels Arlo, “just want to ride on my motorcy…cle.” Not to worry, I had many active (possibly over-active) years, but here at the other end of adulthood I’ve discovered my Fool really did fall off the cliff, and things I thought had healed hurt again. I’ve crawled my way back through many transformations and life lessons to my current reality, which of all things happens to be the Chariot again. “Oh Lord won’t you buy me a Mercedes-Benz,” says Janis Joplin, “my friends all have Porsches, I must make amends.” You can’t tell me that almost everyone in every phase of life doesn’t feel some kind of identity with their vehicle. Whatever form your car takes somehow represents you to the world, and in the tarot the Chariot card brings this home in gaudy detail. From the star-studded velvet headliner, to the winged hood ornament, to the shiny gold aftermarket rims, this ride is pimped out and the driver even has custom studded leathers and the cap to match. He is ready to rock and roll. “She makes the Indy 500,” sing The Beach Boys, “look like the Roman chariot race now.” “And she’ll have fun fun fun,” chants Mike, “’till her daddy takes her T-Bird away.” As with many great hot rods, the chromed engine is exposed to view. We see two sphinx-like characters, reminiscent of the Goddess Fortuna atop the Wheel of Fortune, positioned as if to pull our Chariot. But on closer look, we note something very odd: the T-bird has been taken away. The beasts are at rest, unattached to the vehicle, and we aren’t going anywhere soon. “She’s got a ticket to ride,” conclude The Beatles. We may have our sweet new ride in sight, but at the moment we wait with great impatience to start tearing up the town. The library still looms behind us, we have yet to shake its dust from our feet. We are on the verge of a new phase of life, looking beautiful but not quite yet able to move. A bit of a pickle, I’d say. 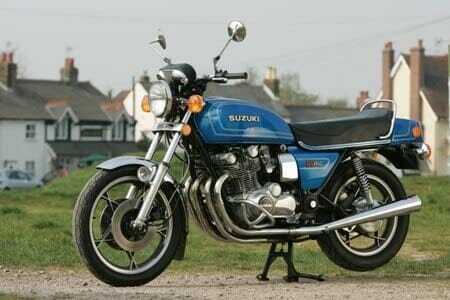 The motorcycle is a blue 1979 Suzuki GS850. Yes, I had one. 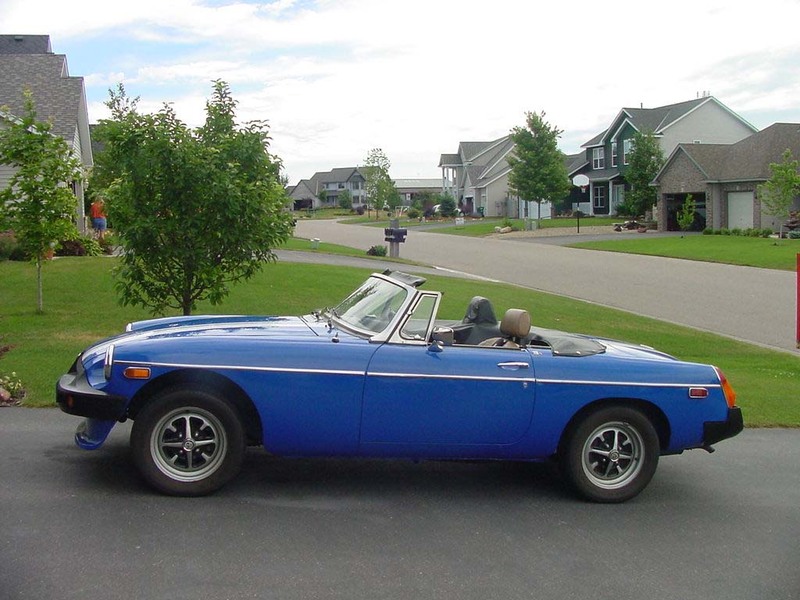 The car is a blue 1978 MGB. Yes, I had one. For 25 years. 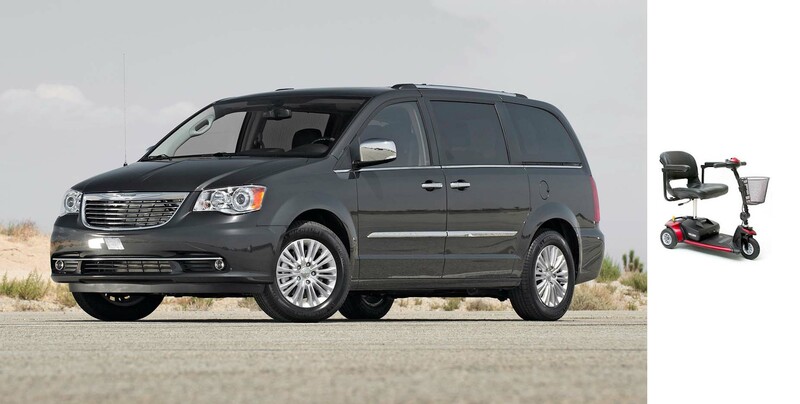 The van is a gray 2012 Chrysler Town & Country. Yes, I bought one. The scooter is a Pride Go-Go. Yes, I scoot one. In my case the Pride goeth after the fall. 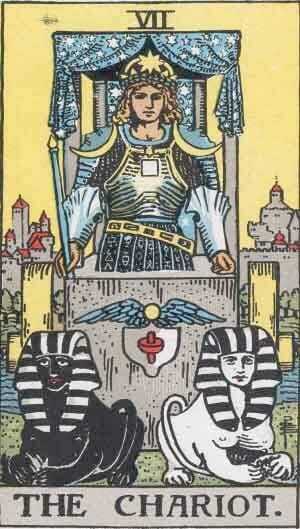 The first Chariot card is from the Aleister Crowley deck. 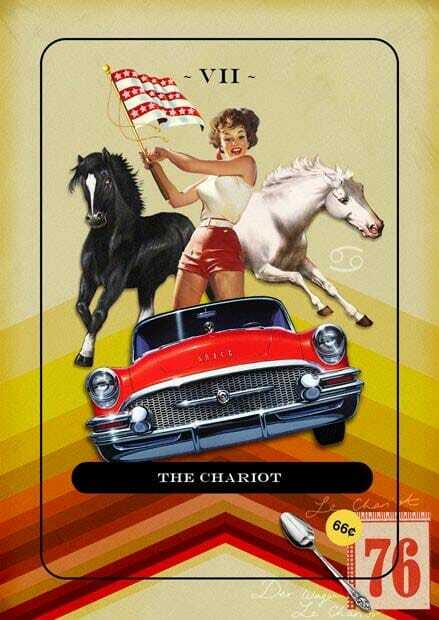 The second Chariot card is from the Waite Smith deck. 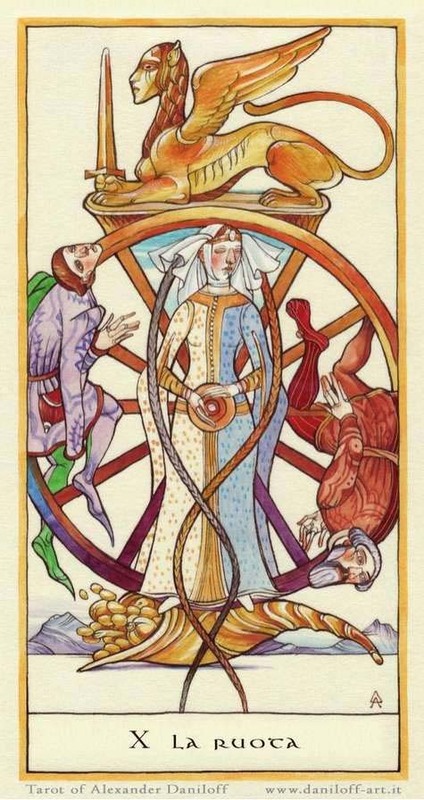 The Wheel of Fortune card is from the Fenestra deck. 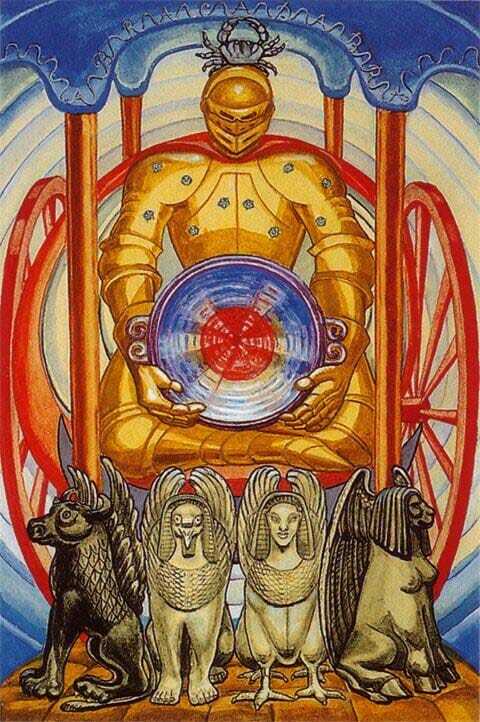 The third Chariot card is from The Art of Jordan deck.